Alolan Forms, New Pokemon, Z Moves, Island Challenges! Oh my! 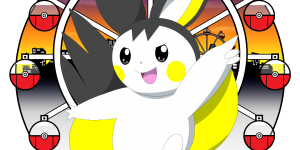 A whole bunch of new Pokemon news has just dropped! Prepare to have your mind blown as a new of new Pokemon and new changes to old favorites are coming to Pokemon Sun and Moon! The first big thing that was reveal in today’s news was Alolan forms for several previous generation Pokemon. All these Pokemon have adapted to the different microclimates of the Alola region. These regional variants can have different types, appearance and behavior compare to their other regional counterparts. As of right now, only five Pokemon have regional variants. 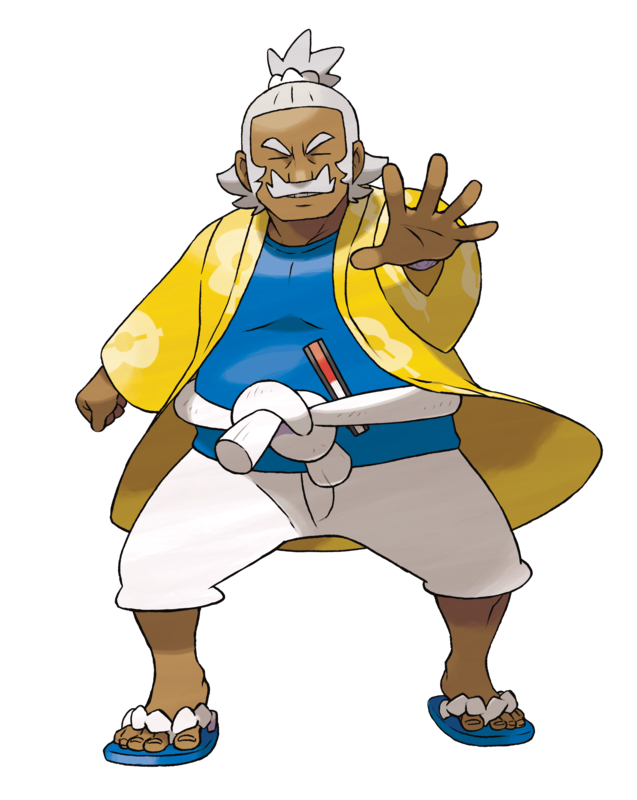 This variant of Exeggeutor was formed by the strong sunlight found in the Alola region. People from the Alola region are pretty proud of their long neck Exeggeutor because they claim that this is Exeggutor’s true form. 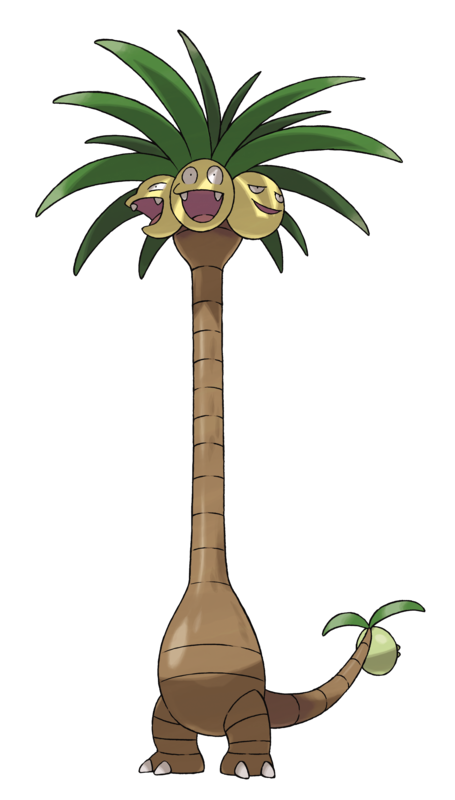 The Alolan Exeggutor has a fourth head on its tail.t his four head controls the tail and can attack opponents while the main three heads handle opponents from the front. Alolan Exeggutor will have a long reach with that neck but it better be careful of Ice type Pokemon because it now has double weakness against them! It is said that Vulpix came to the Alola region together with humans, but the Fox Pokémon moved to the snowy mountain peaks to avoid the normal habitats of other Pokémon, and thus it ended up taking on this form. Alolan Vulpix live on high mountains that remain covered in snow year-round. They live in small packs of two to five individuals, helping one another survive. 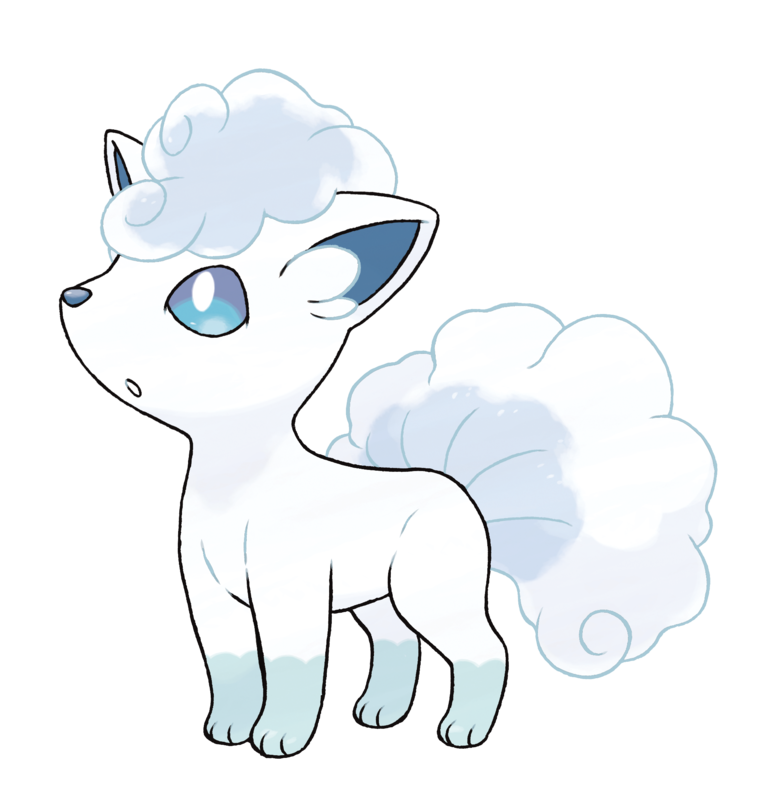 Lastly, Alolan Vulpix can freeze anything solid by expelling breath at a temperature of −58 degrees Fahrenheit (−50° C) from its mouth. It doesn’t fare well in the heat, but when the temperature gets too high, it produces ice from its tail to lower the surrounding temperature. 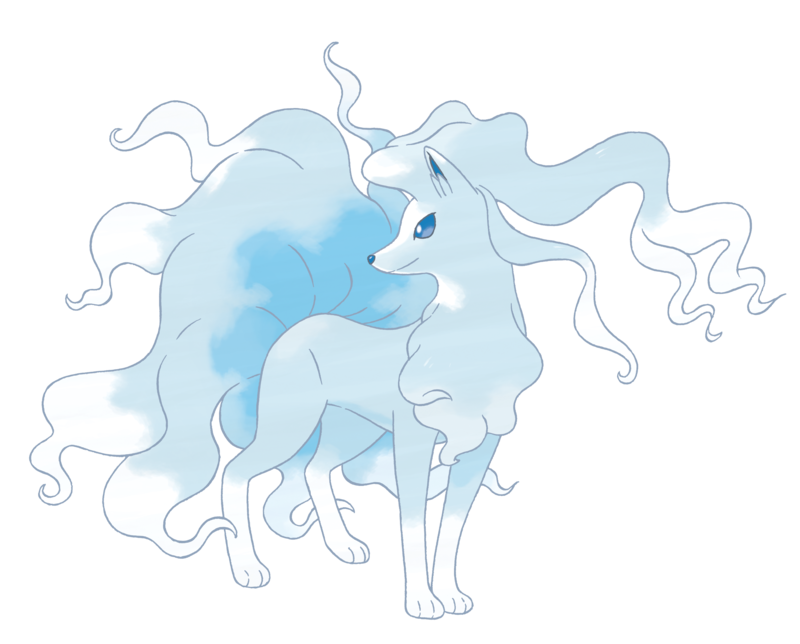 Alolan Ninetales is able to produce ice crystals from the fur that covers its body. 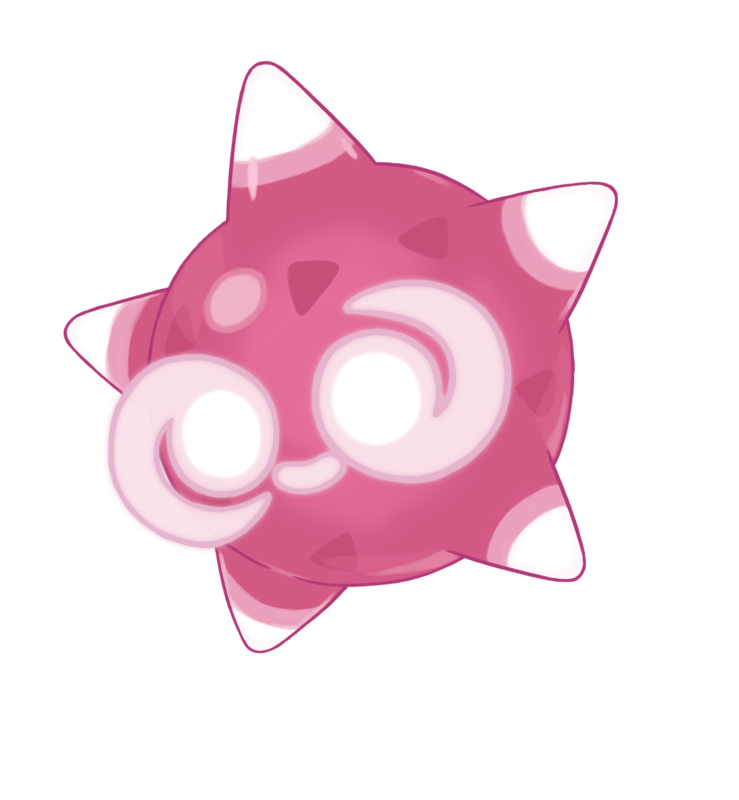 It can use these ice crystals to block attacks, or it can form balls of ice, which it fires like bullets at opponents. These ice missiles have enough power to pulverize rock. Alolan Ninetales live on a snowy peak that is revered in the Alola region as a holy mountain. They are treated as sacred emissaries, and people meet them with awe and fear. This Pokémon’s personality is extremely gentle, and at times it has helped humans who seem to be in distress. However, it shows no mercy at all to anyone or anything that dares to damage its territory! Dragons better beware of Alolan Ninetales because not only is it immune to Dragon type attacks but it can dish out heavy damage to them! Though, Alolan Ninetales want to stay away from Steel types because it now has double weakness towards them. Sandshrew have historically lived in desert areas, but the frequent eruptions of nearby volcanoes drove them to abandon the desert and migrate to snowy mountains where they took on this form. Sandshrew’s body changed to adapt to the harsh environment of the snowy mountains. 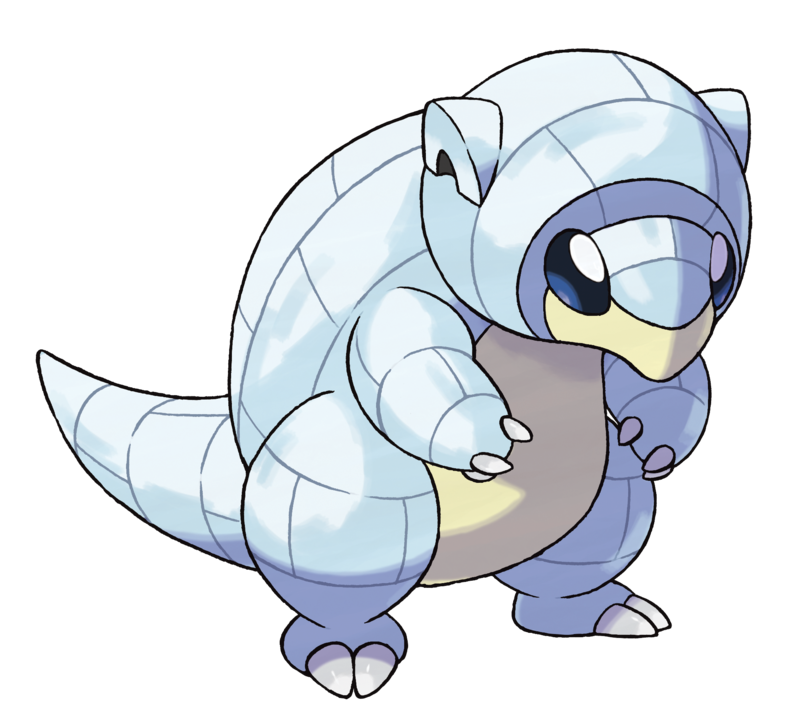 The Alolan Sandshrew has a shell of ice covering its skin, which is like hard steel. 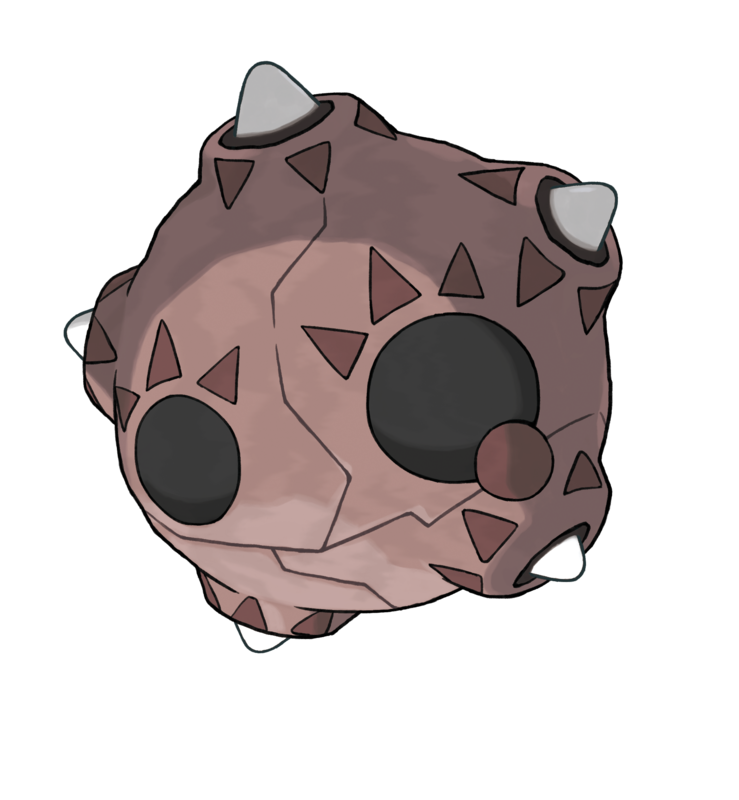 It excels defensively, but it lacks flexibility and can’t curl its body into a ball like a Ground-type Sandshrew can. Its heavy weight makes the Alolan Sandshrew slower than a normal Sandshrew, but the claws on its hands and feet allow it to move across ice without slipping. When it wants to move quickly, it uses its stomach to slide across the ice like a curling rock. Alolan Sandshrew will need that heavy defense because now it has double weakness to Fighting type Pokemon. The Alolan Sandshrew of the snowy mountains evolve into Alolan Sandslash with spiny backs that are covered in ice. Alolan Sandslash hide themselves in the snow when strong enemies appear, leaving only their needles exposed and ready for business. 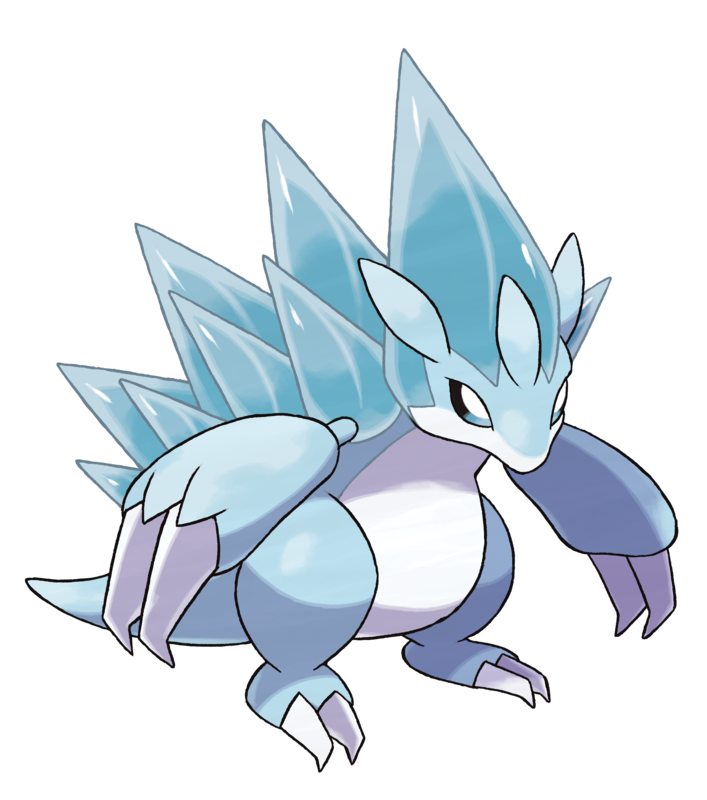 The weight of the ice that covers its body makes these Alolan Sandslash heavier than normal Sandslash, and this causes them to be slower. Yet in snow fields and on ice, they move by creating a path with their claws, and so they’re able to move with swiftness. The sprays of snow kicked up by Alolan Sandslash’s movements are so beautiful that many photographers head for the snowy peaks to capture the moment. However, Sandslash live deep in the mountains, and there is great danger of becoming stranded, so it’s forbidden to climb the mountains without permission. Alolan Sandslash also has double weakness to Steel types. 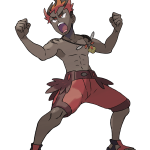 Will all the Alolan Forms have double weakness? Only time will tell. Several new Pokemon was reveal today! Some of them are per-evolutions while others were new evolutions! We even got full evolution lines! Gumshoos is the Evolution of Yungoos. 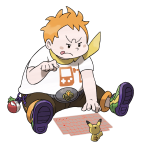 Gumshoos’s method of targeting prey is the exact opposite of Yungoos’s strategy. While Yungoos prowls around, Gumshoos stakes out its prey’s usual routes and waits patiently for it to come by. 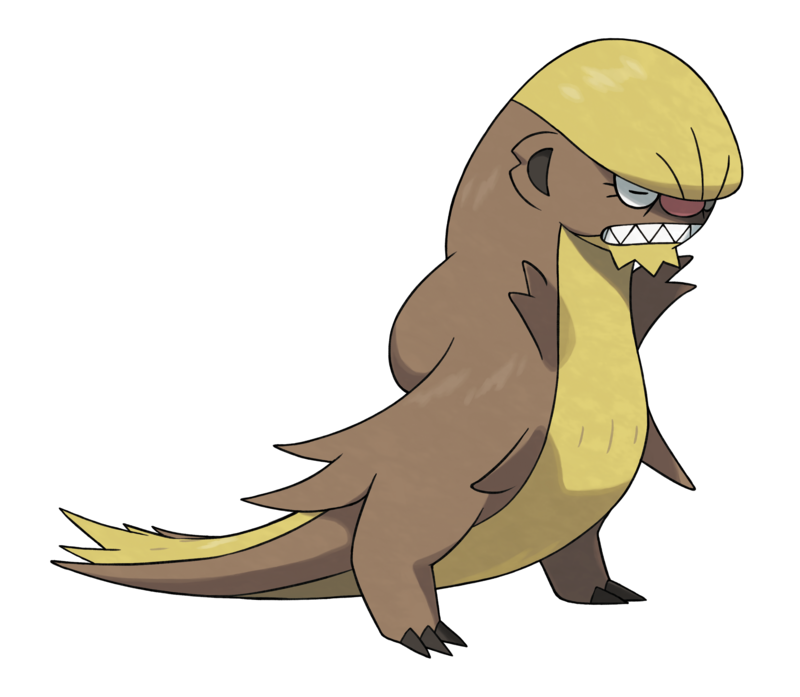 Gumshoos has a tenacious personality, which is why it targets one prey for so long without wavering. But when the sun goes down, it runs low on stamina, falling asleep right on the spot. Gumshoos can withstand a great deal of hunger. It’s able to stay perfectly still while waiting for its prey, keeping watch without eating a thing. Fomantis is nocturnal, and it performs photosynthesis while it sleeps during the day by spreading out its leaves in all directions. Because of the danger of staying in the same location two days in a row, Fomantis begins its search for the next day’s spot as soon as the sun sets. For Fomantis, photosynthesis is not just a source of energy—it is a necessity to achieve the strength and brilliant coloration of its evolved form. Photosynthesis is precious to Fomantis, and it will fiercely attack those who get in the way of that process. Fomantis excel at long-range attacks like Razor Leaf and Solar Beam. 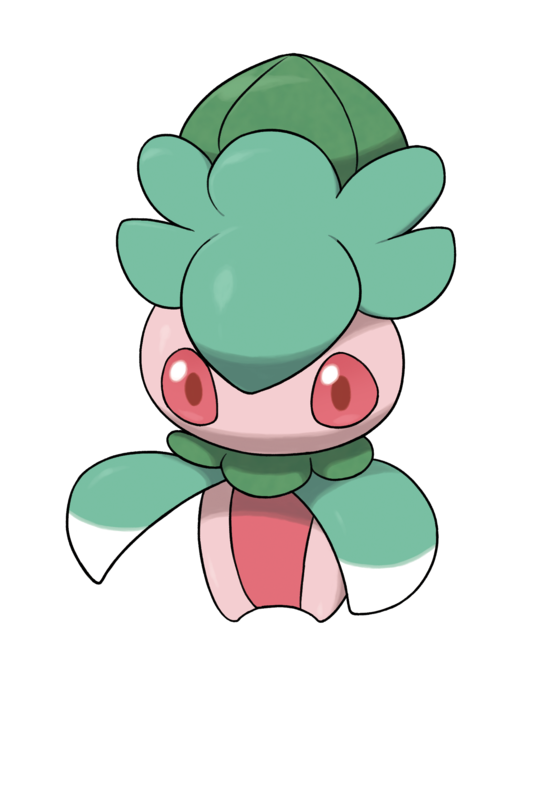 Solar Beam is indeed a powerful move, but since it uses up the energy that the Pokémon has stored through photosynthesis, Fomantis rarely uses it. Lurantis draws opponents near to itself with its flowerlike appearance and aroma—and then it takes them down. It’s said to be the most gorgeous of all Grass-type Pokémon, due to its brilliant coloration and elegant moves. 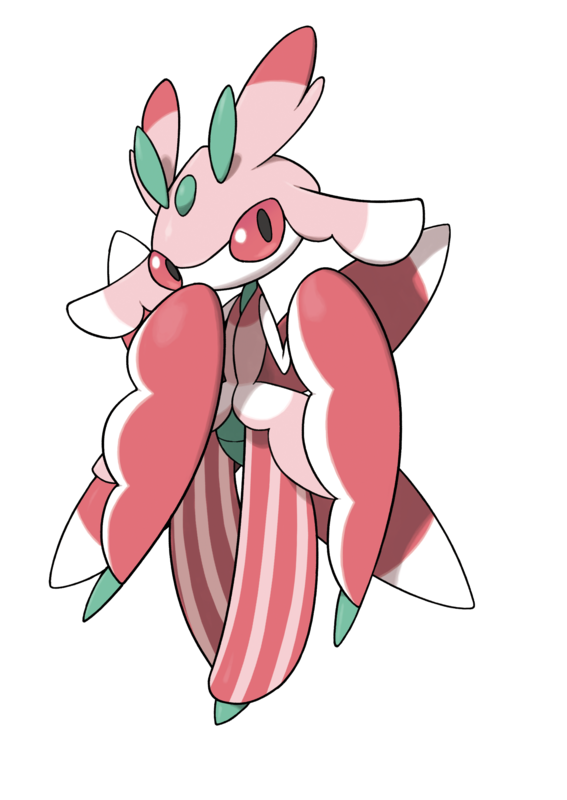 Lurantis’s appearance is maintained through detailed grooming. It will trust a Trainer who does a good job of caring for it, but it will apparently have a difficult time growing closer to a lazy Trainer. Lurantis can learn Solar Blade, a move that releases a blade-shaped beam to mince up its foes. The blade is so sharp it is said it can slice a rock in half! 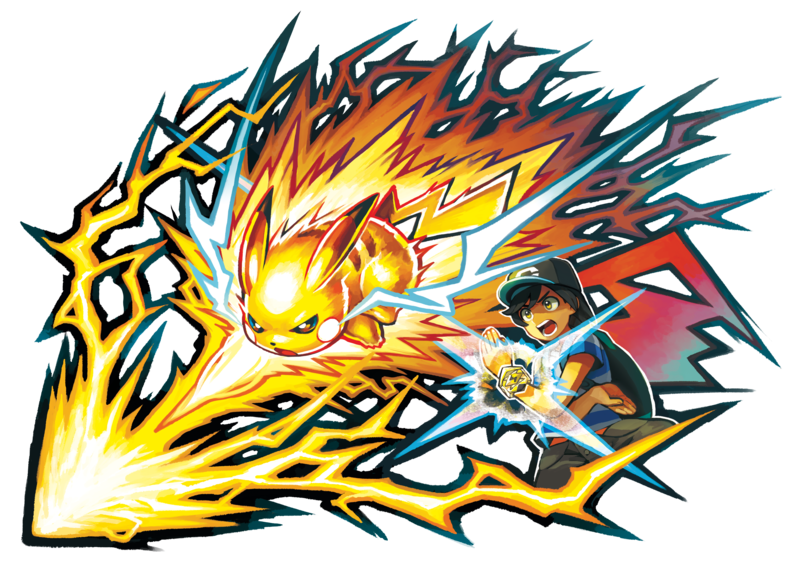 Solar Blade is a move that no Pokémon has been able to learn before. With Solar Blade, Lurantis absorbs energy from the sun on the first move and then unleashes a powerful attack on the second turn. Lurantis is the Totem Pokémon of Lush Jungle, the site of an Akala Island trial. 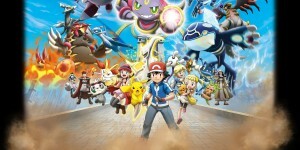 It will overwhelm trial-goers with the powerful combos it unleashes with the Pokémon allies it calls. Mudbray could once be found all over the world but is now a protected species. It’s said that the Alola region is the only place in the world where Mudbray can still be found in the wild. 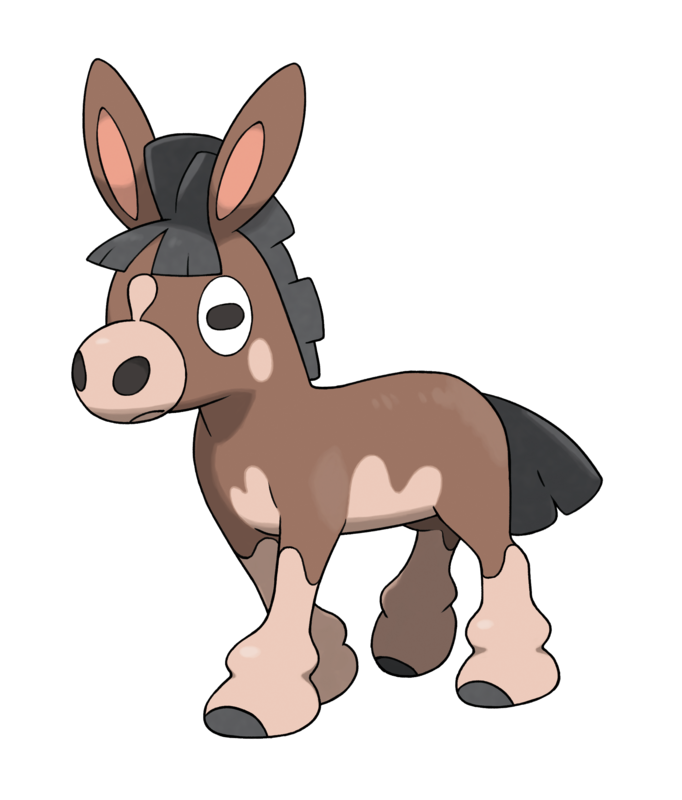 Mudbray boasts superhuman strength—a surprise, considering its small body. Mudbray can carry loads up to 50 times its own weight on its back or dragging behind it. Mudbray loves playing in the mud. It’s easy to live in harmony with this Pokémon, as long as you provide an environment where it can play in the mud. If it can’t frolic in the mire, however, Mudbray will become stressed and may stop listening to orders. 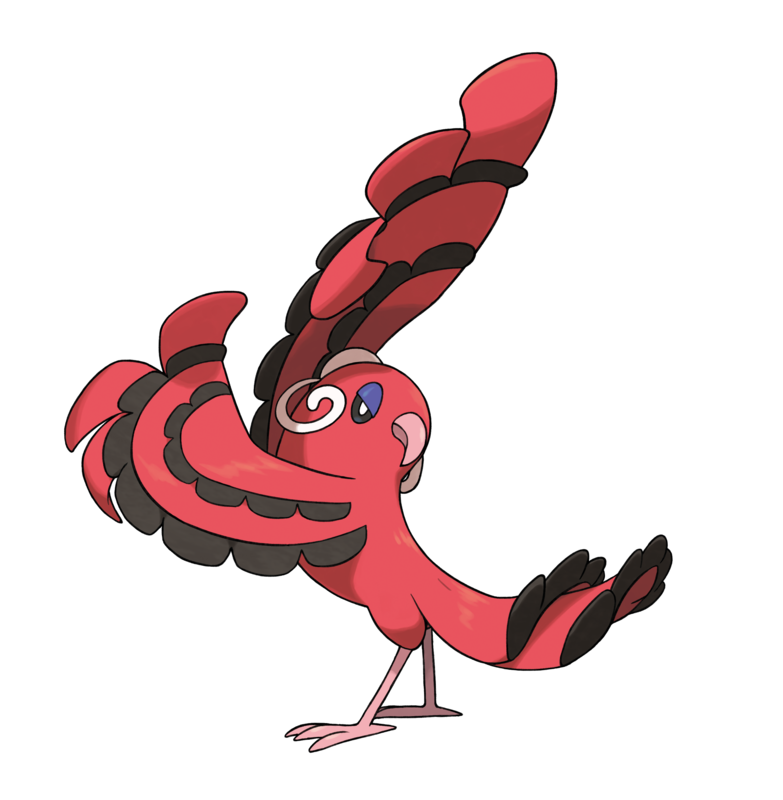 Oricorio has the new Dancer Ability that no other Pokémon has had before. 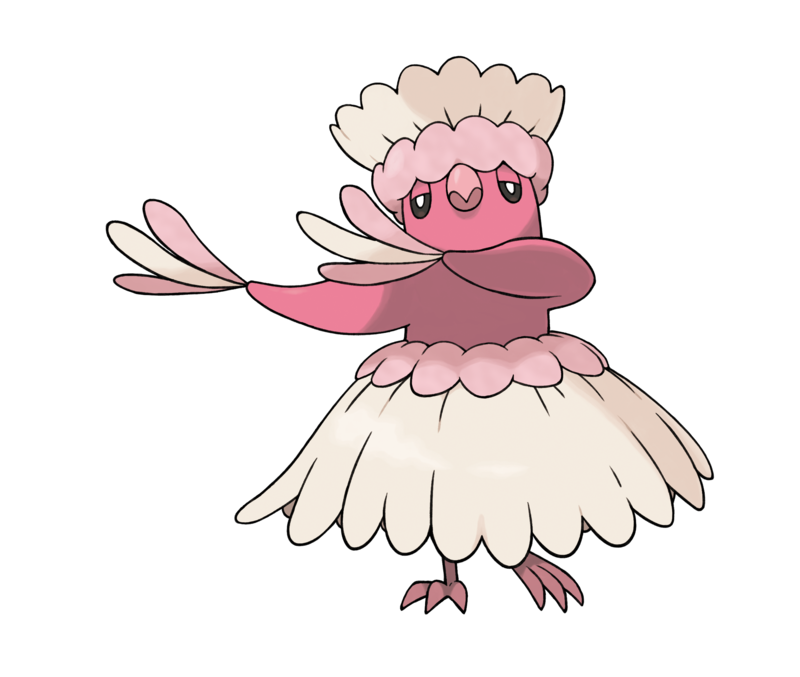 If another Pokémon in the field uses a dancing move, then Oricorio will be able to use the same move immediately afterward, thanks to its Dancer Ability. 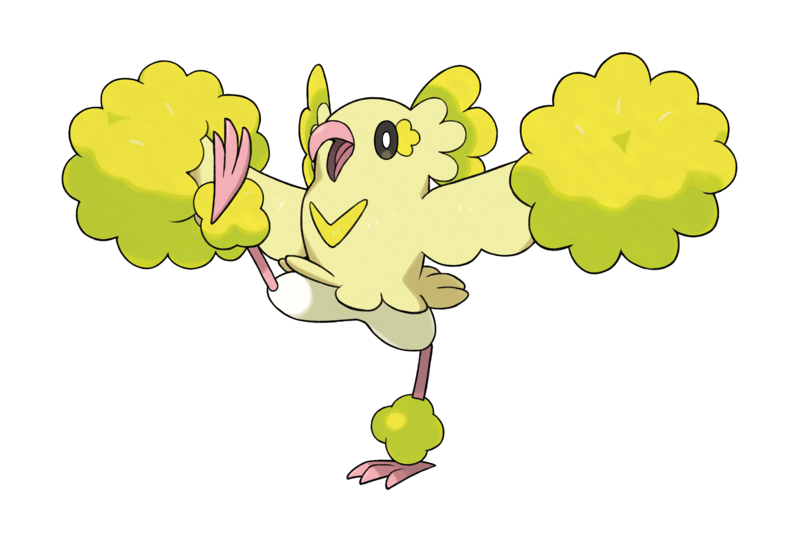 Revelation Dance is a move that only Oricorio can learn, and its type changes based on Oricorio’s current style. 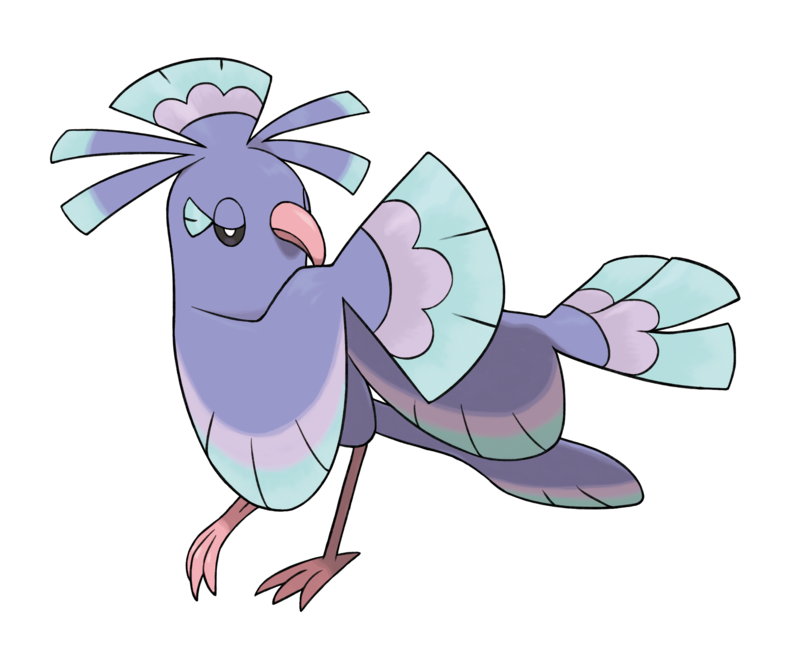 The Pa’u Style Oricorio acts at its own pace, which sometimes makes it difficult to deal with. It sharpens its spirited moves through dance, which increases its psychic power. 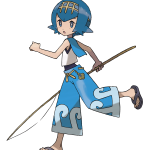 A new battle mechanic has been added to Pokemon Sun and Moon call Z Moves! This battle mechanic is the result of both the Trainer and Pokémon releasing their full power together when their wishes resonate with each other. You can only use a Z Move once per battle but it is promise to leave a devastating effect. A trainer will need a Z-Ring and a Z-Crystal in order to preform a Z Move. The trainer places a Z-Crystal that matches the type of the Pokemon they are using into the Z-Ring. They then need to do an impressive pose to resonate with their Pokemon to unleash their power attack. TOMY will be a Z-Ring later in the year. This Z-Ring will light up, vibrate, and play sounds when a Z Move is used in the game. 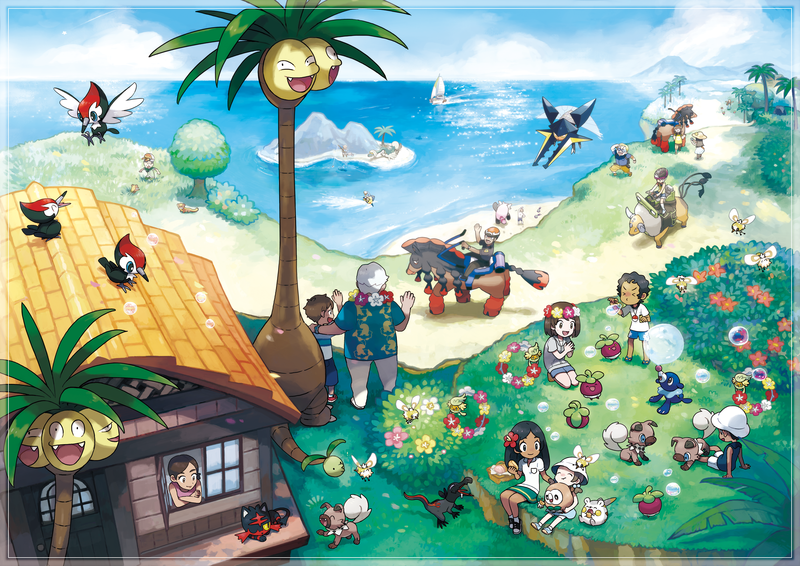 Unique to Alola is the Island Challenge where trainers travel to each of the four islands in order to help them grow into better Pokemon trainers. 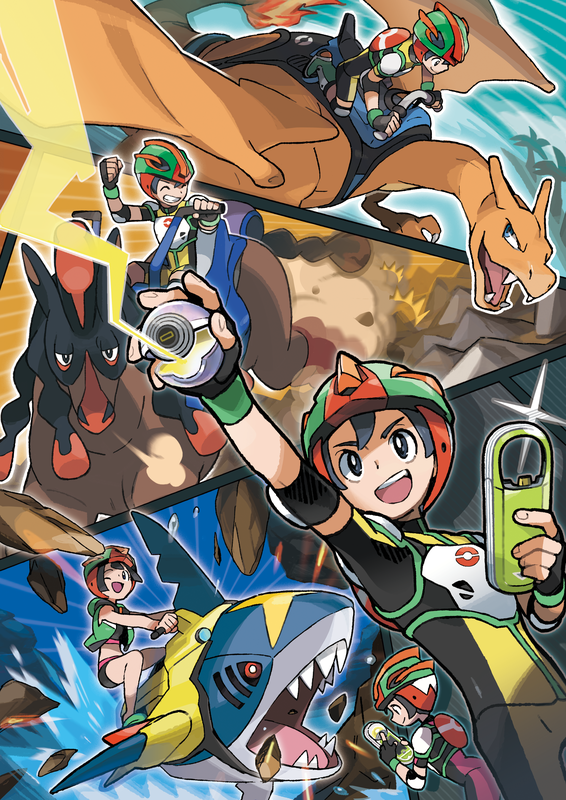 Each island has their own trial which ranges from Pokemon battles, searching for items and various of tests. Each trial is lead by a Captain who have each taken the trial years ago. Below is a description of each Captain. At the end of each trial, a mighty Pokémon known as a Totem Pokémon will be waiting. A Totem Pokémon is much larger than others of its species, and its body is enveloped in a special aura. When Totem Pokémon battle, they summon ally Pokémon to join them. With the support of these allies, the Totem Pokémon become more powerful. Pokémon other than Totem Pokémon sometimes also call on allies to aid them. Have the Island Trials replace the Gym Challenge? We haven’t seen a gym yet so who knows. Lastly, there is Poke Ride! 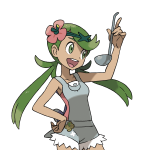 In the Alola region, certain Pokémon help people reach places that are not accessible using human strength alone. This practice, known as Poké Ride, is typical of the culture of the Alola region, where humans and Pokémon are closely bound together. These Pokémon do not join the player’s team, but they can be called upon anytime for help. Pokemon Sun and Moon are a few months away but we have gotten a lot of information. So far what has been your favorite piece of information? Are you thirsty for even more news about Pokemon Sun and Moon? The next batch of Pokemon Sun and Moon news will be coming August 12th. Want to get hyped? Watch the video below!